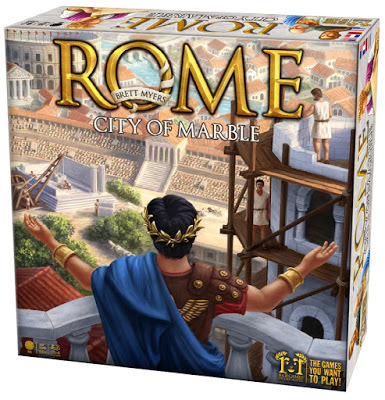 Golden Geek Award nominations are open so I’m dusting off the ol’ soap box to shill for ROME: CITY OF MARBLE! If you’ve enjoyed ROME and are a boardgamegeek.com user, I’d appreciate any nominations in my favor. It can make a big difference!